We've now hit 2017 and this blog - and the accompanying TES account I use most frequently - quietly reaches its fifth year. I continue to update it from time to time, in between my day job. Speaking to trainee teachers and NQTs, as I do from time to time - mainly via the University of Manchester, I always stress that a career in teaching is a constant journey (cheesy I know, but true). A journey that involves real peaks but also some real troughs - opportunities to grow as a person rather than just as a teacher. In my own career, I started off very much subject focused on being a teacher of history - perhaps narrowly so - before developing expertise in SEN and more recently developing expertise specifically in SEMH. It's been a journey of constant change and something I have recognised needs to be embraced rather than feared. Taking a brief moment out of 'the situation' last September on a windy, drizzly late-summer day under the shadow of Mam Tor - and looking around at how I was now taking part in an Outdoor First Aid course, roleplaying how we treat a disaster scene on the side of a desolate hill and working in a rescue team with a grizzled Afghanistan veteran from Durham and a fresh-faced, aristocratic 19 year old mountain climber - really summed this up for me! I had a conversation a few years ago with a seasoned educational professional who asked how my new role was going - I started by saying, "It's proving to be a learning curve at the moment..." to which he interrupted (and rebuked me with), "I would question any professional who says they're not on a learning curve..." What I then tried to explain, as much as I agreed with this observation, was the period of starting a new role is a much steeper learning curve than usual - a bit like an aeroplane taking off (to borrow an analogy a relative uses when members of the family start a new role and find themselves feeling a little overwhelmed). On my fourth year in this current role, I am thankful things continue to change and provide new opportunities - but also appreciative of having some familiarity with the territory in which I operate. One of my new year's resolutions - which I began at the start of the 2016/2017 academic year, rather than this calendar year - was to try to read more. I have not put any specific requirements on what I read except a desire to engage in some 'sustained reading' via the (apparently for some) old-fashioned method of books rather than relying on the scanning and skimming of online articles. 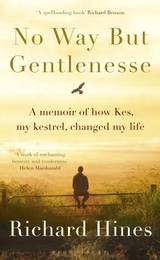 A book that has really stood out is 'No Way But Gentlenesse - A Memoir of How Kes, My Kestrel, Changed My Life' by Richard Hines. Certain books come along and have an impact on you, lasting longer than that initial phase of reading them - sort of sitting there in the background, asking to be mulled over that little bit more. I would say this is one of them. Firstly, I have a natural connection to the book in that I hail from the same region as Richard Hines. Growing up in 1980s and early 1990s South Yorkshire, I was a generation or so removed from the time of 'Kes' but there is so much he talks about which resonates, especially in terms of the landscape which has not dramatically changed. I could relate in particular to the closeness of quite claustrophobic, hard-edged industrial town and city landscapes and the more picturesque, untouched countryside where you could escape and find a degree of freedom. 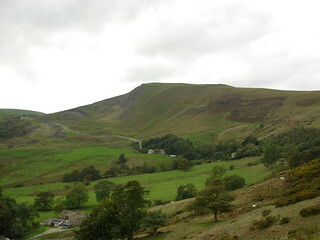 This experience of getting out and 'away from it all' is something I have encouraged via my role as Duke of Edinburgh Award leader - and my students, living as they do in Stockport which sits next to the Peak District, gain greatly from it. Secondly, Richard Hines was a teacher for a good part of his career but constantly took on new roles, through a sense of mission and curiosity rather than cold ambition, which eventually led him away from the school setting to new horizons. I am not ready for handing my notice in as a teacher but I appreciate his adventurous spirit and his sense of almost being a pilgrim (an unpretentious one at that). Thirdly, although I certainly did not suffer from the harsh divide of the grammar / secondary modern system of the 1960s, there is something about the experience of Richard Hines and his time at school that I can relate to. Certainly the sense of drudgery and lack of aspiration or spark - the fact I also had to leave secondary school before I really found a love of education. That does not mean I have any real axe to grind against the school system, just as Richard Hines doesn't, but we have to face the reality that it is an experience many people have had and many young people continue to have - and it's something that should particularly motivate those of us who have had that experience yet have been brave (or daft!) enough to return to schools to work. Another interesting book I have read recently is 'Year of the Hare' by Arto Paasilinna - a Finnish classic by all accounts - which was recommended to me having waxed lyrical about 'No Way But Gentlenesse'. It is a short tale of a somewhat cynical, 'weather-beaten' journalist who, having accidentally run over and injured a young hare on a routine journey home one day, takes a radically different turn. I enjoyed the book for what it is really - a relatively short, fanciful and funny tale. But, having said this, it was interesting to read reviews and analysis after finishing it (as I often do with books) - noting that the presence of the hare throughout the story is Arto Paasilinna drawing deliberately on the hare as an ancient symbol on the one hand of change and resurrection and on the other of been more 'in tune' with the flow of life. I don't intend to make any great proclamations of what this means personally, other than to go back to the earlier point that change is inevitable and can be embraced as a source of new life - be that in fits and starts as Richard Hines recollects from his own life just down the road in South Yorkshire, or in a sudden turning point as Paasilinna tells it via his fictional journalist and hare over in far-off Finland. 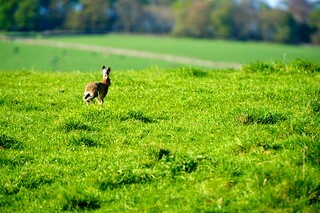 Coincidentally, it was during the mock rescue - with my fellow coursemates scattered across a field awaiting our help - that I saw my first Peak District hare, hopping along seemingly unaware of, or unconcerned with, the 'carnage' unfolding in the field next door.